WEDNESDAY, Sept. 28, 2016 (HealthDay News) -- Use of prescription-strength ibuprofen, naproxen and other commonly used pain relievers may be tied to a higher risk of heart failure, researchers report. Medicines like these fall into a category of painkillers known as non-steroidal anti-inflammatory drugs (NSAIDs). These medications may raise a person's relative risk of heart failure by nearly 20 percent, according to the analysis of medical records for nearly 10 million patients. That risk increases with the amount of NSAIDs a person is taking, said study author Andrea Arfe, a Ph.D. student at University of Milano-Bicocca, in Italy. A person's risk of hospitalization for heart failure doubles for some NSAIDs used at very high doses, including diclofenac (Cataflam or Voltaren), etoricoxib (Arcoxia), indomethacin (Indocin), and piroxicam (Feldene), Arfe said. Also, "our findings -- which focused only on prescription NSAIDs -- might apply to over-the-counter NSAIDs as well," Arfe said. "Although over-the-counter NSAIDs are typically used at lower doses and for shorter durations, they are sometimes available at the same doses as prescription NSAIDs and they may be inappropriately overused." Still, the nature of the study can only point to an association between NSAID use and heart failure risk -- it can't prove cause-and-effect. And one expert believes that most patients who need an NSAID for their pain can safely continue using the drugs. Traditional NSAIDs -- like aspirin or ibuprofen -- block the action of both COX-1 and COX-2, which is why some people suffer from stomach upset after taking them, the AAOS said. Newer NSAIDs like celecoxib (Celebrex) target only COX-2, and are referred to as COX-2 inhibitors. Doctors have been concerned for some time that NSAIDs might play a role in heart failure, because they cause people to retain sodium, explained Dr. Christopher O'Connor, editor-in-chief of the cardiology journal JACC: Heart Failure. "These drugs have been around for a long time, and they have important pain relief and anti-inflammatory properties, but they also have cardiovascular side effects," said O'Connor, who serves as chief executive officer of the Inova Heart and Vascular Institute in Falls Church, Va. "They have been shown to hold onto sodium, and there's some reduction in kidney function." 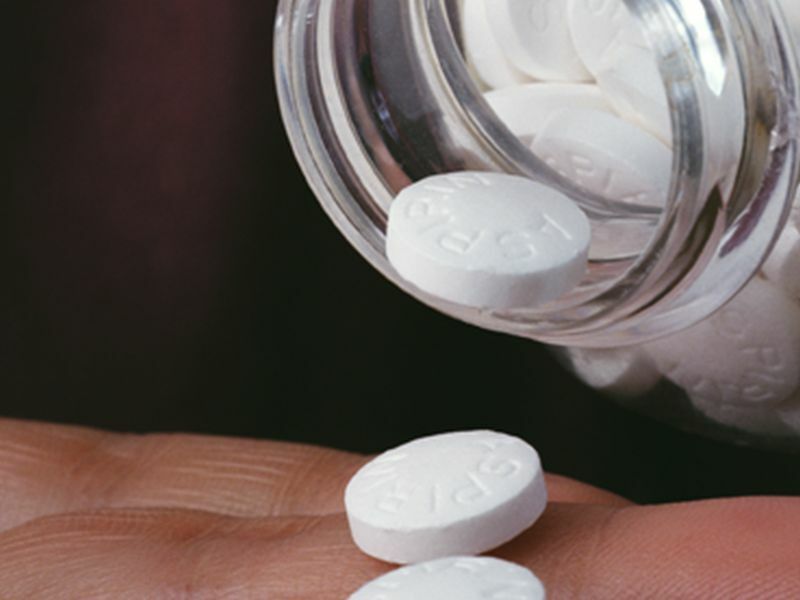 To look more closely at this link between NSAIDs and heart failure, Arfe and colleagues pored through millions of European health records from 1999 through 2010. The patients came from Germany, Italy, the Netherlands and the United Kingdom. The analysis included a total of 27 individual NSAIDs, including 23 traditional NSAIDs and four selective COX 2 inhibitors. The researchers identified more than 92,000 hospital admissions for heart failure, and matched those patients against 8.2 million patients without such histories. The researchers concluded that people who'd been prescribed an NSAID within the preceding two weeks had a 19 percent increased risk of hospital admission for heart failure. "We also found evidence that the risk of heart failure varied according to the type of the used NSAID," Arfe added. After accounting for other health factors -- including history of kidney failure and risk factors for heart disease -- the researchers determined that seven traditional NSAIDs and two COX-2 inhibitors particularly increased risk of heart failure. The traditional NSAIDs that increase risk of heart failure are diclofenac, ibuprofen (Motrin), indomethacin, ketorolac (Toradol), naproxen (Aleve or Midol), nimesulide, and piroxicam. The two COX-2 inhibitors are etoricoxib and rofecoxib (neither is approved for use in the United States). On the other hand, the COX-2 inhibitor celecoxib (Celebrex) did not increase risk of heart failure at commonly used doses, which provides patients a safe alternative, Arfe said. O'Connor believes that anyone regularly taking an NSAID for pain or inflammation should talk with their doctor about their personal heart risk, rather than dropping the medication without consultation. He stressed that these study results report a relative increase in risk -- which means there would be little added danger from NSAIDs in people with good heart health who need the medication for their pain. "This isn't an absolute, that you take the drug and you're going to end up in the hospital with heart failure," O'Connor said. "It's increasing the risk. If you're low risk for heart failure to begin with, if your risk of heart failure is 1 percent and you go to 1.2 percent, that's probably acceptable for you and me. But if you go from 20 percent to 30 percent, that's a pretty big bump in risk." People taking over-the-counter NSAIDs would do well to limit their use, O'Connor added. "Try to take it in as short-term a fashion as you can," he said. Arfe said these findings "may have large public health consequences and they point to the need for further research to assess the safety of over-the-counter NSAIDs under the conditions they are typically used." "Patients should adopt a prudent attitude and avoid over-using over-the-counter NSAIDs without seeking medical advice," he concluded.